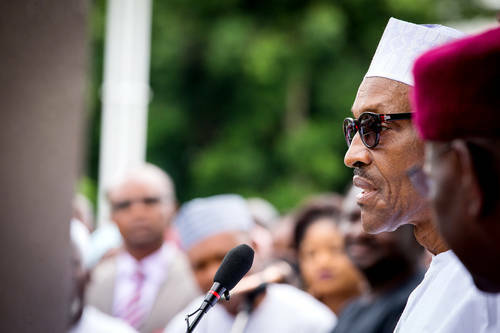 Many Nigerians, including notable supporters and apologists of the present administration, have vociferously criticized and lampooned President Muhammadu Buhari over what they term his “lopsided appointments”. Those who are aggrieved have taken to social media to ventilate their misgivings over the way and manner the president is making his appointments which they insist is excessively favouring the Northern part of the country to the disadvantage of the South. Others have accused Buhari of not being gender sensitive owing to the low presence of women in appointive positions in his government. It seems the announcement of the Board of the Nigerian National Petroleum Corporation (NNPC) on Monday 4th July, 2016 was the last straw that broke the camel’s back. Since the announcement was made, the social media has been inflamed by tirade of disapproving and excoriating commentaries directed at the president’s perceived insensitivity to the geographical spread of Nigeria. Buhari has been accused, among others, of promoting and enthroning a Northern oligarchy in the nation’s political and leadership equation to the detriment of national cohesion and inclusiveness. The statistics and figures on the appointments of heads security agencies, the members of the NNPC Board and other sectors (Ministries, Departments and Agencies) so far made by Buhari are already in the public domain. It is not neccesary for me to enumerate them in order to prove a point. The facts are undisputed and they speak for themselves. There is this seemingly irresistible perception that President Buhari is yielding to the machinations of separatist and divisive forces. Those who defend the trend of appointments which for all intent and purposes, are skewed and lopsided in favour of a section of the country seem not to be mindful of the structural complexity of the country. Those who see nothing wrong in the manner the president is making his appointments have ferociously argued that what is important is competence and service delivery. That attention should not be paid to the regional or religious identities of the appointees. I agree in principle with this argument. But that is not the end of the matter. This argument about competency is not new. It is a familiar one. One identifiable defect with this line of argument is that it tends to disregard the fact that there are “incorruptible”, competent and service oriented Nigerians in every part of the country. Also, those who have not seen any abnormality in Buhari’s appointments have either deliberately or inadvertently failed to distinguish between a desire for competence and a clear demonstration of nepotism and favouritism. From what we have seen so far, there is reasonable basis to infer that the parameters used by Buhari in making appointments are not necessarily targeted at competence and service delivery. One is tempted to query whether these controversial appointments are not primarily actuated by nepotism? Is the president not tactically and uncaringly foisting a corrosive culture of exclusion and segregation? If this is so as widely canvassed, it is indeed a very sad commentary. This in itself is corruption. Whoever cannot distinguish between a quest for excellence and manifestation of nepotism should not bother to join this conversation. Even in the traditional African polygamous family setting, it is not acceptable for the father to show excessive preference and love for children of a particular wife, no matter how illustrious they may be, while relegating the children of his other wives. This can only lead to bad blood and acrimony in the home which may ultimately threaten the peace and development of the family. Furthermore, Nigeria has an institution funded with tax payers money called the Federal Character Commission which is a creation of an Act of the National Assembly. If federal character is to be abolished, let it be universal. It should cut across every sphere of our national life, including the educational system. Nobody should oppose federal character in political and executive appointments but favour quota system in admissions into institutions of learning. That will be hypocritical. Let the anti-federal character campaign be total and all encompassing. Those that are referring to the appointment culture and practice under the erstwhile administration of former president Goodluck Jonathan in an attempt to justify Buhari’s skewed appointments are doing a great disservice to the very foundational mantra upon which the present government was elected – CHANGE. We should not be preaching change only when it suits our egregious interests. I am against what Buhari is doing because in the final analysis, it will only cause disaffection in the country. Buhari is not being nationalistic in his appointments. He is being unapologetically discriminatory, parochial, self-serving and sentimental. Abba Kyari – Chief of Staff to the President. The trio are said to be the unquestionable, infallible and undisputed ring leaders of Buhari’s kitchen cabinet. They have been credited with an aura of invincibility. Mamman Daura for example is said to be the “Alpha and Omega” of Buhari’s presidency, only submissive to Buhari and no other. Some have even alleged that Daura can veto the decisions and directives of the president if he so wishes. I pray this should be a hyperbole of the state of affairs in the presidency. Otherwise, it would mean that a silent coup has been staged against the popular mandate of the Nigerian people. These men have been accused of orchestrating Buhari’s skewed and flawed appointments. I cannot vouch for the veracity and credibility of these insinuations and accusations. What I can say with certitude is that when the current mandate of this government expires by May 2019, nobody will credit the trio of Mamman Daura, Babachir David Lawal and Abba Kyari with the failures or successes of the administration. Buhari will take the blame and praises. Nigerians did not vote for them. There was nothing like Sai Mamman Daura; Sai Babachir Lawal or Sai Abba Kyari during the 2015 presidential election. We only exclaimed ‘Sai Buhari’. Some commentators have said repeatedly that the president needs to work with people he can trust. This is the most unfortunate response to the issue. Nigeria is a vast and diverse country with over 170 million people, which cuts across over 150 tribes and six geo-political zones. There is an unwritten requirement that any person seeking the highest office in a pluralistic country like Nigeria should meet – the capacity to locate trustworthy and competent citizens across the length and breath of the country who can help him achieve his aspirations, policies and programmes. Buhari was loudly accused of being deficient in this unwritten requirement during the 2003, 2007, 2011 and 2015 presidential elections which he participated. The president’s critics told everyone who cared to listen: that Buhari is an unrepentant divisive figure destitute in nationalistic norms. Buhari never admitted this accusation levelled against him by his political foes. During the 2011 presidential election, Buhari in an effort to disabuse the minds of the Nigerian electorates, opted for a Pentecostal pastor from the South West, Mr. Tunde Bakare, as his running mate just to disprove the pro-North and anti-South character ascribed to him. Today, it is becoming increasingly difficult to say who was/is right between Buhari and his critics. The most tragic aspect of it is that president Buhari appears not to give a damn (Apologies to Jonathan) about what people say. The president seems to have this covert disdain for unfavourable public opinion. For Buhari, critics can cry to death, and it is inconsequential whether they shed blood, instead of tears, in the process. I am very aware of the tendency to refer to anyone who expresses reservations about the president’s actions and appointments as pro-corruption. Today, criticisms, no matter how well intentioned, are commonly responded to with the dismissive slogan that “corruption is fighting back”. Such generalisation is rather naive and simplistic. Conversely, the raw truth is that nepotism in appointments can only mean that corruption is coming back. This is not the view of another “Wailing Wailer”. On the contrary, it is the view of one of those patriotic Nigerians who ignored ethnic and religious affiliations and campaigned vigorously in support of Buhari’s candidacy during the last presidential election. I sincerely want president Buhari to succeed, not only in fighting corruption, but very importantly in uniting this deeply polarised nation. Without unity, the gains of the anti-corruption fight will look very insignificant. If nepotism is not a specie of corruption, then corruption is meaningless. It is not too late for president Buhari to retrace his steps. The president should always bear in mind that the verdict of history will not be influenced by the hypocrisy and arrogance of today. BREAKING: #BaghdadBombing Death Toll Rises To 250!